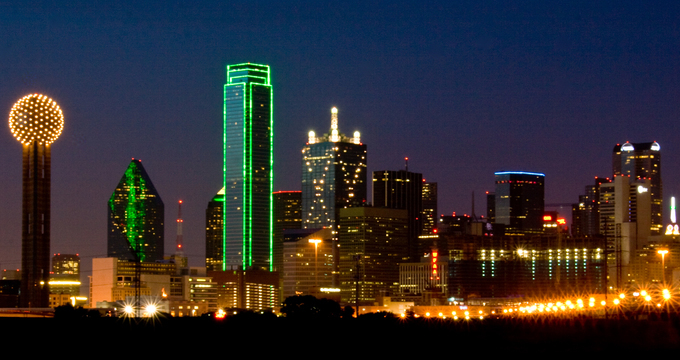 The Dallas skyline at night. Dallas CVB photo. Dallas has long been the No. 1 visitor destination in Texas, and for good reason. Not only is it a mecca for sports — it’s home to five professional sports teams, including the Cowboys, who take on the Steelers Dec. 16 — but the country’s ninth-largest city also is pretty serious about shopping. It gave birth to the first Neiman Marcus (in 1907), America’s oldest planned shopping center (Highland Park Village) and the upscale, glass-vaulted Dallas Galleria mall, modeled after the Galleria Vittorio Emanuele II in Milan, Italy. Dallas also is famous for its arts scene, boasting the largest contiguous urban arts district in the United States — it stretches 17 blocks, covering close to 70 acres — that includes more than 115 public pieces of art on display. The closest airport to downtown is Dallas Love Field (DAL), but there are no direct flights from Pittsburgh. It’s served by just three airlines, including Southwest. You also can fly into Dallas/Fort Worth International Airport (DFW); prices start at about $220 roundtrip on major airlines. But again, it’s not going to be quick — only American Airlines offers a direct, 21/2-hour flight. 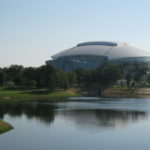 From DFW, a taxi to downtown will set you back about $40, or $27 to Cowboys Stadium (stadium.dallascowboys.com) in nearby Arlington. The Trinity Railway Express (trinityrailwayexpress.org) offers rail service every day but Sunday between the CentrePort/DFW Airport Station and Dallas Union Station; the trip takes about 40 minutes and costs $2.50. A taxi from DAL costs $18, a shuttle $19, and you also can take a bus or commuter rail (dart.org/riding/lovefield.asp). 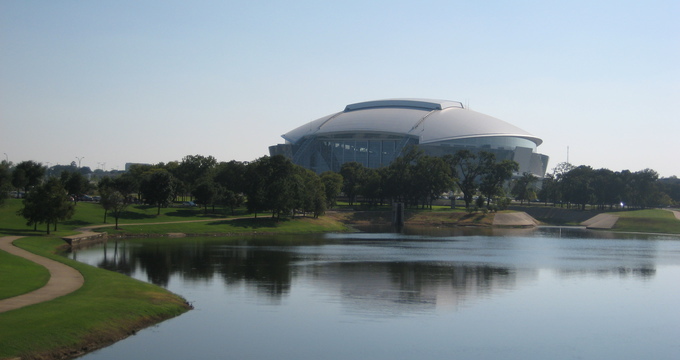 Cowboys Stadium is in nearby Arlington. Once in town, the free McKinney Avenue Trolley (mata.org) takes visitors in restored antique electric trolley cars from the Dallas Arts District throughout the Uptown area with its restaurants, pubs, boutique hotels and shops. Unfortunately, there’s no public transportation between downtown Dallas and the stadium. Dallas’ charms stretches well beyond the beating heart of downtown. Just a couple blocks from the central business district is the city’s oldest entertainment area, the 55-acre West End Historic District (dallaswestend.org); for art lovers, the 19-block Dallas Arts District (thedallasartsdistrict.org) delights with its mix of art galleries, concert halls, architecture and public sculpture. It’s just west of the Central Expressway. In South Dallas, the Bishop Arts District (bishopartsdistrict.weebly.com) is home to funky boutiques, coffee shops and some of the city’s most sought-after restaurants. For live music and emerging visual and creative artists, head to Deep Ellum (deepellumtexas.com) immediately east of downtown, known around town as the “birthplace of jazz and the blues” — though this also is the place to hear music as varied as rock ‘n’ roll to hip-hop to alternative. It has the city’s largest collection of commercial storefronts from the 20th century. Victory Park, conversely (victorypark.com), is a master planned development with trendy, 21st-century shops, nightlife and high-end apartments. Once home to a dump, a meat-packing plant and an old power plant, it’s the largest brownfield project in the United States. With more than 73,000 rooms in the metropolitan area, there’s something for every budget and taste. One of the most famous and luxurious hotels is the five-star Rosewood Mansion on Turtle Creek (rosewoodhotels.com; $335 and up), which was built in 1923-25 for cotton mogul Sheppard King and his family in the Italian Renaissance style and features 143 spacious rooms with balconies and patios. At Hotel ZaZa in the Uptown area (hotelzaza.com; $262 and up), the “regular” rooms feature one-of-a-kind works of art and Mediterranean accents. Or, choose one of its 16 “concept” suites (the Shag-a-delic room has bean bag chairs, shag carpet and a round bed) or the themed “Magnificent Seven Suites,” the choices of which include a two-bedroom, 2 1/2-bath Rock Star that goes for $1,000 a night midweek and $2,500 on weekends. 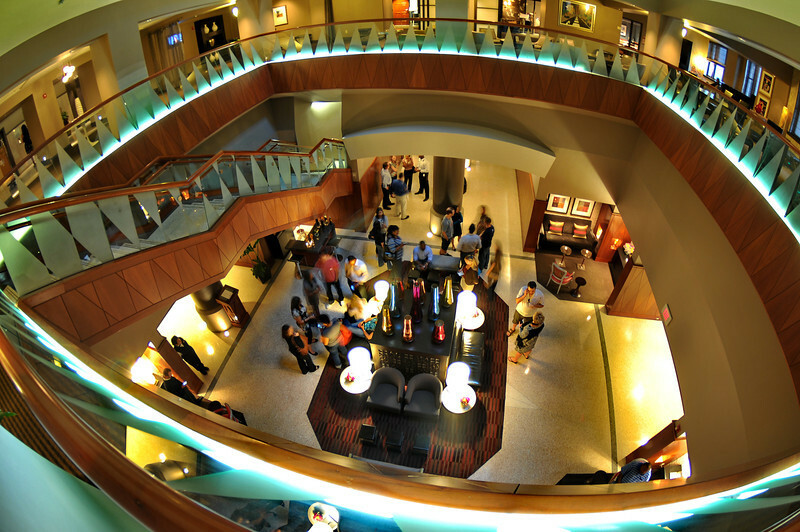 The lobby of the Magnolia Hotel, Dallas. Pockets not that deep? The boutique, 29-story Magnolia Hotel Dallas (magnoliahotels.com; $89 and up) was the city’s first skyscraper, and the first high-rise in the United States to have air conditioning. The 1,001-room Omni Dallas Hotel near the Convention Center is a year old, and sleek and contemporary with floor-to-ceiling windows. (omnihotels.com; $150 and up). 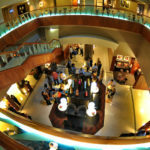 At the Embassy suites (3 locations, embassysuites.com) the price ($118 and up) includes a made-to-order breakfast and evening happy hours. 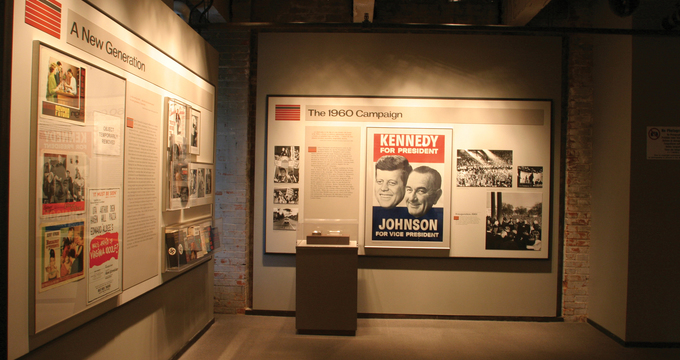 For many, Dallas will forever be linked with President John F. Kennedy’s ill-fated trip there in 1963, so it’s no surprise a popular tourist attraction is the Sixth Floor Museum at Dealey Plaza in the West End Historic District, in a warehouse at 411 Elm St. formerly known as the Texas School Book Depository ($16, including audio guide; jfk.org). In addition to JFK’s assassination, its collection of more than 40,000 items explores the legacy of his life and presidency and the culture of the 1960s. The John F. Kennedy Memorial at Main and Market streets also draws thousands annually, as does Dealey Plaza National Historic Landmark, one of only two extant presidential assassination sites in the U.S.
Anchoring its famous Arts District is the sprawling Dallas Museum of Art (dallasmuseumofart.org; $10 until Jan. 21, 2013, when it’s free; closed Monday) and its 24,000 works of art, including art of the ancient Americas. Nasher Sculpture Center at 2001 Flora St. (nashersculpturecenter.org; $10, or $16 with joint admission to DMA) has more than 300 modern and contemporary sculptures paired with 20th-century paintings and drawings, from masters such as Rodin and modern artists, such as James Turrell. The Crow Collection of Asian Art (free; closed Mon. ; crowcollection.com) is dedicated to the arts and cultures of China, Japan, India and Southeast Asia while The Meadows Museum ($10 adults, free after 5 p.m. Thurs, and closed Monday; smu.edu/meadowsmuseum) on the campus of Southern Methodist University boasts one of the finest collections of Spanish art outside of Spain. If you don’t mind stretching your legs, there’s a self-guided 3.3-mile Public ArtWalk Dallas starting at Nasher Center that highlights 30 pieces of art and architecture. You can find a map at publicartwalkdallas.org. Rather take a walk back in history? Dallas Heritage Village at 1515 S. Harwood St. ($9, dallasheritagevillage.org) features “living breathing Texas history” — from the frontier days to the early 1900s. 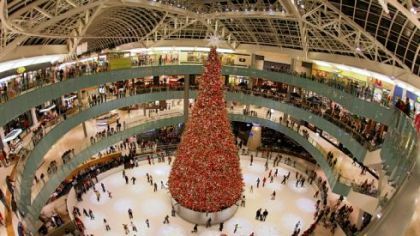 Galleria Dallas (galleriadallas.com) brings hundreds of national/international retailers, specialty boutiques and world-class restaurants together under one glitzy roof. It’s also home to an indoor ice skating rink ($9 admission, plus $3 for skates) that during the holiday season boasts the country’s tallest indoor Christmas tree — a 95-foot beauty decorated with more than 10,000 ornaments, a quarter-million twinkling lights and a 10-foot, 100-pound LED star. The mall is accessible through the DART Rail & Bus System (DART.org). If you’d rather shop downtown, the Main Street District is home to the original Neiman Marcus store (1618 Main St.) and its featured designers. Another pure Texas experience is getting measured for a pair of custom cowboy boots or Charlie 1 Horse hat at Wild Bill’s Western Wear (311 North Market St.) in the historic West End. For vintage finds or funky one-of-a-kind items, head to the Bishop Arts District, where shops such as the Artisan’s Collective and Indie Genius, an indoor marketplace featuring jewelry, locally grown coffee, original art, handmade décor and clothing (beindiegenius.typepad.com), are sure to tempt. When your arms are full of packages, take a horse-drawn Circle G carriage ride ($160/hour for up to six people; circlegcarriage.com) through the West End. Or better yet, deposit them in your hotel room and jump on a Segway tour ($86.36; dallassegwaytours.com) of Katy Trail, a biking/walking/inline skating trail that follows the path of the old Missouri-Kansas-Texas Railroad through Uptown, or Dealey Plaza. There’s no shortage of great restaurants in Dallas. If you’re in the mood for Mexican, Mr. Mesero, 4444 McKinney Ave., was named one of D magazine’s best of 2012 for its “Mexican classics done with panache”; most entrees are under $10. If BBQ is more your thing, Will Fleischman of Lockhart Smokehouse, 400 West Davis St. in the Bishop Arts District, recently was named one of the South’s top 10 pitmasters by Southern Living — order at the counter (half-pound of brisket costs $7.50), then snag a seat at the bar or a table. Also fun, if a bit touristy, is Gilley’s Dallas complex (gilleysdallas.com), which moviegoers will recognize as the central location of “Urban Cowboy.” In its Jack Daniel’s Saloon, most everything on the menu is less than $10. Here’s where you also can ride a mechanical bull and listen to live Texas music. For more upscale dining, you can’t miss with Fearing’s in the Ritz-Carlton or with Oak at 1628 Oak Lawn Ave. in the Design District, which is one of the 50 finalists for Bon Appetit’s list of the 10 best new restaurants in the country in 2012. Stephan Pyles in the Arts District serves “new millennium” Southwestern cuisine. Malarkey’s Tavern in North Dallas (4460 Trinity Mills Road, malarkeystavern.com) is throwing the city’s “biggest & baddest Steeler fan rally” on Saturday, with autographs, a merchandise booth and Steelers film highlights. They’re also hosting a post-game party to celebrate the Steelers’ assured victory. Go to visitdallas.com or call 1-214-571-1000.